Fri., Nov. 3, 2017, 5:36 p.m.
CAIRO – Scientists say they have found a hidden chamber in Egypt’s Great Pyramid of Giza, in what would be the first such discovery in the structure since the 19th century and one likely to spark a new surge of interest in the pharaohs. In an article published in the journal Nature on Thursday, an international team said the 30-yard void deep within the pyramid is situated above the structure’s Grand Gallery, and has a similar cross-section. The scientists made the discovery using cosmic-ray imaging, recording the behavior of subatomic particles called muons that penetrate the rock similar to X-rays, only much deeper. Their paper was peer-reviewed before appearing in Nature, an international, interdisciplinary journal of science, and its results confirmed by other teams of scientists. Chances of the space containing treasure or burial chambers are almost nil, said Aidan Dodson, an Egyptologist at the University of Bristol, but the discovery helps shed light on building techniques. “The pyramid’s burial chamber and sarcophagus have already been discovered, so this new area was more likely kept empty above the Grand Gallery to reduce the weight of stone pressing down on its ceiling,” he said, adding that similar designs have been found in other pyramids. 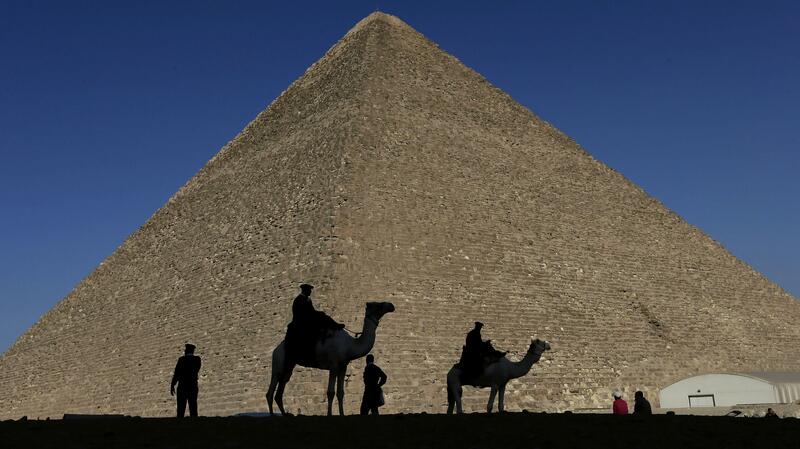 Late last year, for example, thermal scanning identified a major anomaly in the Great Pyramid – three adjacent stones at its base which registered higher temperatures than others. While the technology can detect large open spaces, it cannot discern what is inside, so it’s unclear if the empty space contains any objects. Tayoubi said the team plans now to work with others to come up with hypotheses about the area. Published: Nov. 3, 2017, 5:36 p.m.